What's your favorite movie of hers? How angry were you when you found out that Jesse James cheated on Sandra?!? The fans pick: I was so PISSED! What was he thinking?!? All this talk about Victory over violence. Do you think it will get resolved? What can make the difference between now and our future childs lives. More women playing roles of all ages. Oh my gosh! i have never met you but i would really like to because your such an inspiration to young girls like me. My friends are all like "why do you like her?" "why dont you like selena gomez or Justin Bieber? whats wrong with you?" and i tell them that like love Sandra bullock so much because shes who I look up to. Shes always been the person I loooked up to:) She is a truly incredible women and each movie melted my toes. my favorite movie personally is between 28 days and the proposal. Gosh if I ever met her in real life I would Probably Have a heart attack no lie! The Miss Congeniality star attended the dinner with her boyfriend, Bryan Randall, and her two children, Louis and Laila. They were also joined by her Ocean's 8 co-star Sarah Paulson and Paulson's girlfriend Holland Taylor. Jason Bateman and his wife. 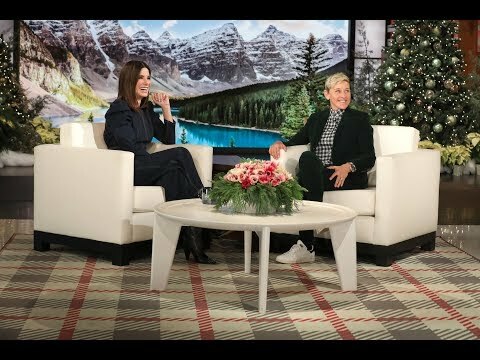 How do you send Sandra Bullock fanmail?